Tamara is an award-winning journalist, author, and coach. 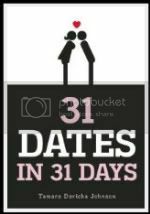 Her book, 31 DATES IN 31 DAYS, was an instant hit, winning the 2012 Best Dating Book from the About.com Readers’ Choice Awards and was named among the Top 10 Dating Books of all time from DatingAdvice.com. She contributes stories and advice to media outlets around the world and coaches singles on how to find success in dating and relationships. Her journey from network television news to author and coach came after a long string of painful breakups. Upon her 31st birthday, she vowed to say 'no' to relationships and, instead, took advantage of her single life in New York City with an the ultimate dating adventure: 31 DATES IN 31 DAYS. Tamara's journey of self-discovery changed her life while unexpectedly leading to love and marriage. As a longtime journalist, Tamara worked for ABC's Good Morning America in New York City, where her team won an Emmy Award for Best Writing. She has won awards from the Associated Press, the Society of Professional Journalists, and the Virginia Association of Broadcasters while working as a newscast producer for KATU-TV in Portland, Oregon, KSL-TV in Salt Lake City, Utah, and WSLS-TV in Roanoke, Virginia. Although much of her career has been spent behind the camera reporting, Tamara often appears on-air to share her story and lessons with dozens of media outlets around the world, including The New York Times, The New York Post, Oprah Radio, Good Morning America, and Fox and Friends. In addition to writing, Tamara coaches singles and couples on love, dating, and surviving the first few years of marriage. She is frequently invited to speak to groups about the life-changing project that helped her find the kind of man she'd never believed existed. 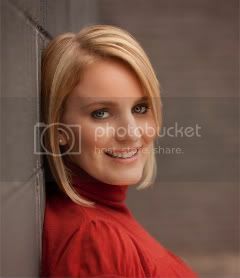 She continues to write about dating on her blog, 31datesin31days.com and contributes articles on love and dating to several other media outlets. She is working on her second book about the first year of marriage. She's a proud alumna of Roanoke College, where she managed to stay on the Dean's List while busily working toward graduating with a double-major in just three years. She received a master's degree from Columbia University's Graduate School of Journalism where she received the Lee Bollinger Fellowship. That's where she first wrote about dating. Her master's project is a radio documentary profiling single Mormons in Manhattan called "Celibacy and the City." Tamara is a member of the Writers Guild of America. She lives in Los Angeles with her husband (one of the 31 Dates!) and daughter. Tamara's book, 31 Dates in 31 Days, is available in bookstores and online from your favorite stores. You can also buy an autographed copy directly from Tamara.